In my previous post, I wrote about the basics of dependency injection. This post assumes you’ve read my previous Converting SQL to LINQ posts. I haven’t had much in the way of specific requests for more LINQ posts, so I’d still welcome any suggestions that people want to offer. This post assumes you’ve read the previous posts in this series. It makes the same assumptions as Part 8, and I will pick up where I left off, covering Full Outer Join. This post assumes you’ve read the previous posts in this series. This post assumes you’ve read Converting SQL to LINQ, Part 1: The Basics. So, you’ve heard that VB (and C#) are open source now and you want to dive in and contribute. If you haven’t spent your life building compilers, you probably don’t know where to start. “Visual Basic 14” is the version of Visual Basic that will ship with Visual Studio 2015. 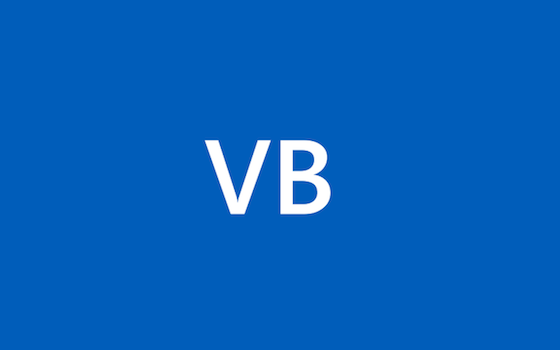 In this blog post I’ll talk specifically about the VB language improvements in this release. Hello everyone! I hope you had a chance to catch the recent announcements around the .NET Compiler Platform (“Roslyn”). If not, I encourage you to view Anders’s presentation at Build 2014 (skip to 1:10:28). 9 years, hah saying it makes it look like it was yesterday. started with Basic on my father’s massive … well you cant really call something that big a ‘PC’. The title of this blog post has sort of a triple meaning for me. First of all, I just got back from a long (and wonderful!) cruise in the Caribbean, followed by a stop at Disney World. UPDATE: QuickVB is now open source! The Visual Basic team joins Dartmouth and developers worldwide whose lives have been touched by this amazing language in wishing Dartmouth BASIC (and indeed the whole BASIC family of languages) a very happy 50th birthday (and many more) today! As you can see in the VS2013 Preview, we have not added new language features to Visual Basic and C# in the next version of Visual Studio. I’d like to share our thinking on this. WOW! It’s been a while — almost exactly 4 years since yours truly, Beth Massi, last posted on the VB Team blog (although it’s cool to see I’m still in the tag cloud ;-)). There are a lot of great Entity Framework samples on Code Gallery that you can now find available in Visual Basic .NET. This was recently announced on the ADO.NET team blog. The Silverlight Toolkit March 2009 release is enhanced with Visual Basic source code. Please follow the links to view these samples for both Silverlight 2 and Silverlight 3. Today I posted an interview on Channel 9 with Dmitry Robsman, the Product Unit Manager for ASP.NET. In this interview he shows us how he implemented ASP.NET MVC views using Visual Basic’s XML Literals instead of .aspx pages. If you’ve held off trying Visual Studio 11 Beta because your .NET 4 or Silverlight 5 app uses the Async CTP, your wait is over! Touch screen are great and we’ve seen their use on phone and slates but sometimes these screens still just are not big enough. For those who desire bigger touch screens, Microsoft surface may be the answer. For development of windows phone applications a new feature was added to the Visual Basic compiler known as VB Core. This is a reduced version of the runtime designed to allow development for a broader variety of platforms without incurring the larger penalty of having a full VB runtime containing non-supported or older VB6 legacy functionality which are now implemented as part of the framework itself. Imagine this. It’s Halloween. You’ve got a costume party to go to at 7 but there’s one small hiccup – you’ve got no costume. As a VB programmer you’re used to coming up with nick-of-time solutions to all manner of complex business problems but all your coding skills won’t help you now. With the announcement of the Visual Studio 11 Developer Preview it’s time to take a look at some of the features you can start using with our latest version of the IDE right away. An update to the training kit has been made providing Visual Basic developers with sample code for the development features of Dynamics CRM and help them build applications using Microsoft Dynamics CRM 2011 and CRM Online.